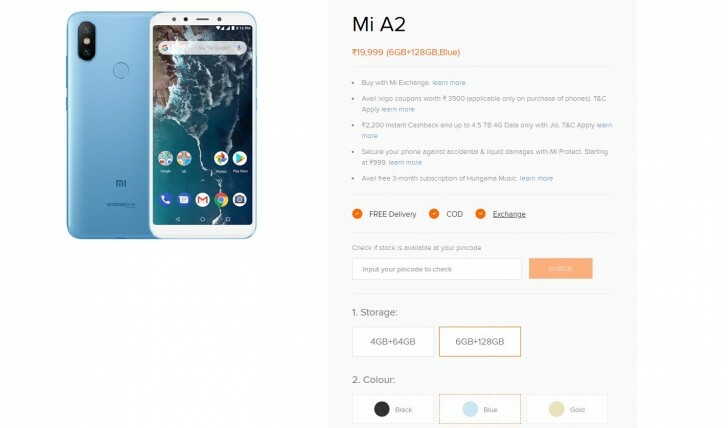 Xiaomi’s Android One-powered Mi A2 launched in India back in August but the beefed-up version with 6GB of RAM and 128GB only now makes it to the sub-continent. Xiaomi silently listed the smartphone on the official Indian online store with a price tag of INR 19,999 ($273) and without the Rose Gold color option. Actual shipment dates are yet to be confirmed, but you can sign up for a notification email when the phone is in stock. Chances are it’s not going to take long now.